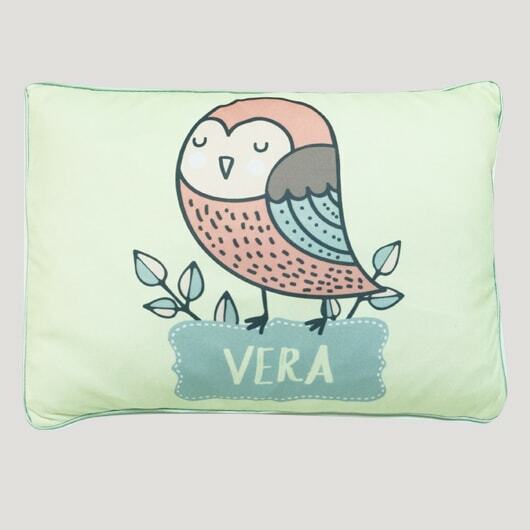 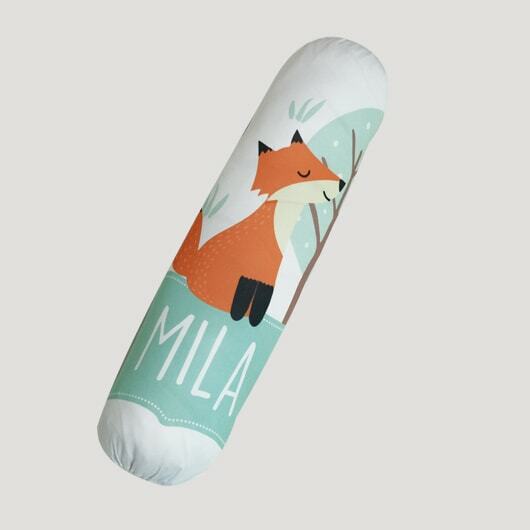 Pillow, included bolster, clearly needed by baby to keep our them sleep comfortably and still safe. 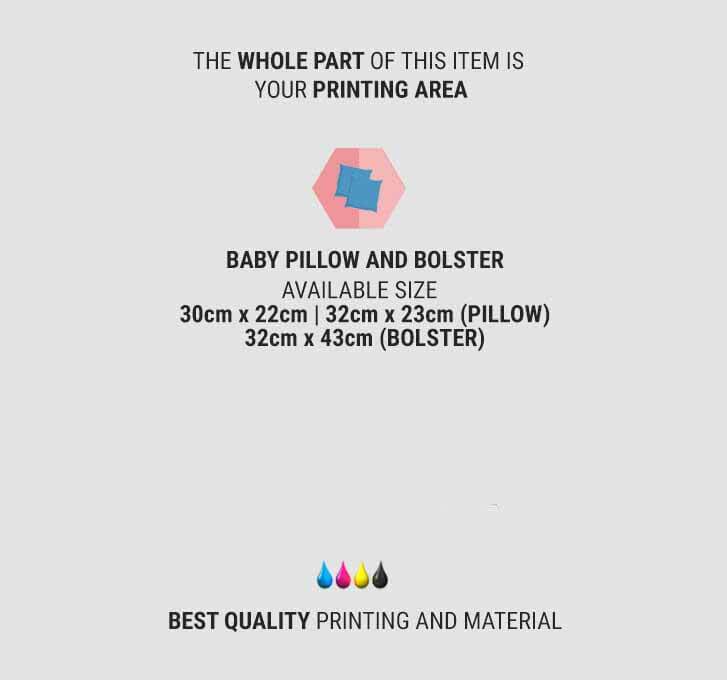 Even now there is baby head support pillow, pillow with a deep-set design in the middle of it to form a normal baby head shape. 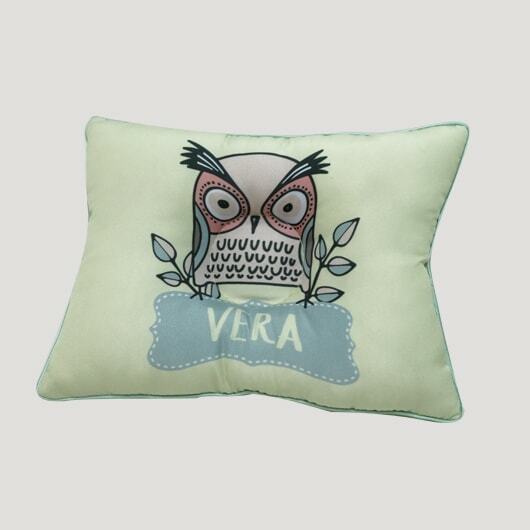 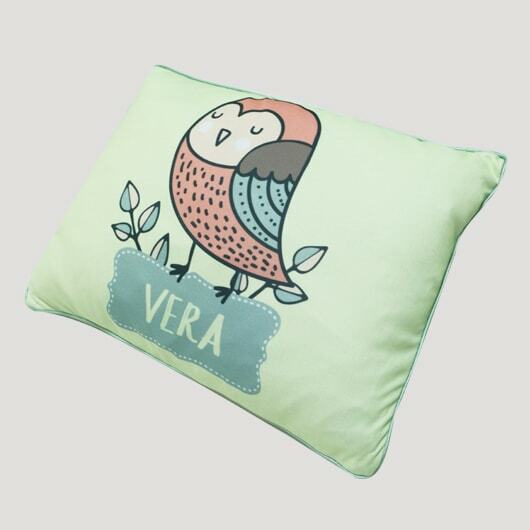 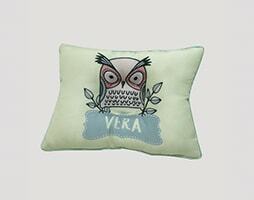 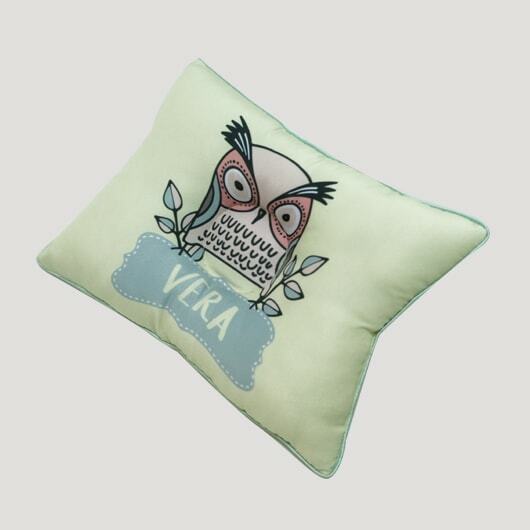 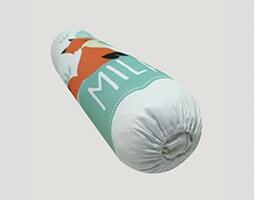 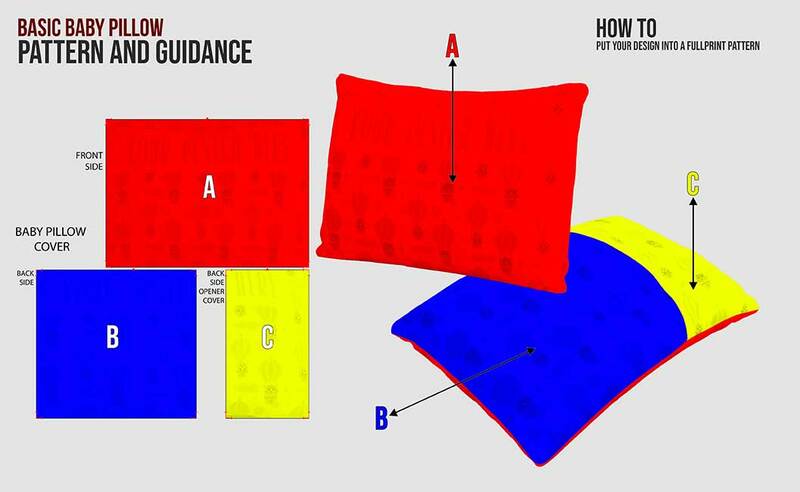 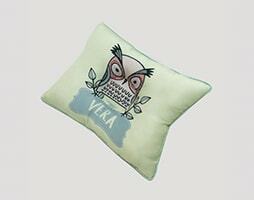 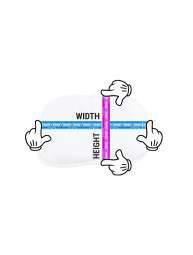 *can be ordered complete pillow/bolster with the cover or only cover. 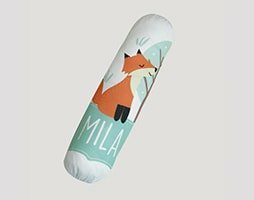 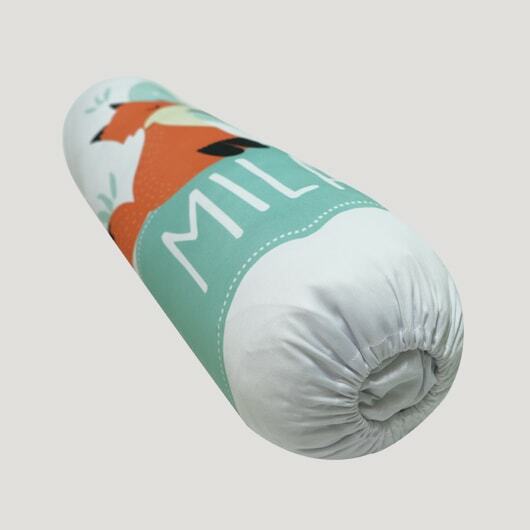 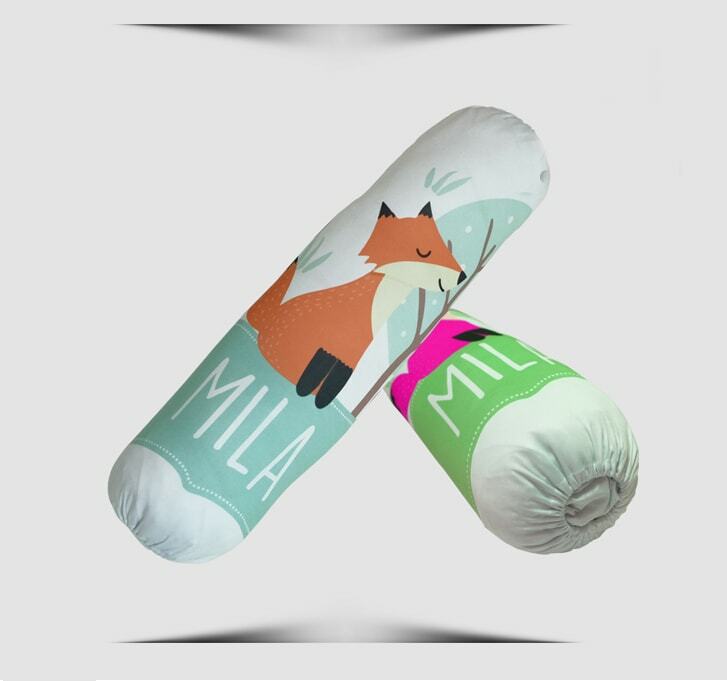 Baby pillow and baby bolster are made of 2 materials choice: Bowden (soft, small pores, comfortable) and Sthenolid (thicker, soft, flexible). 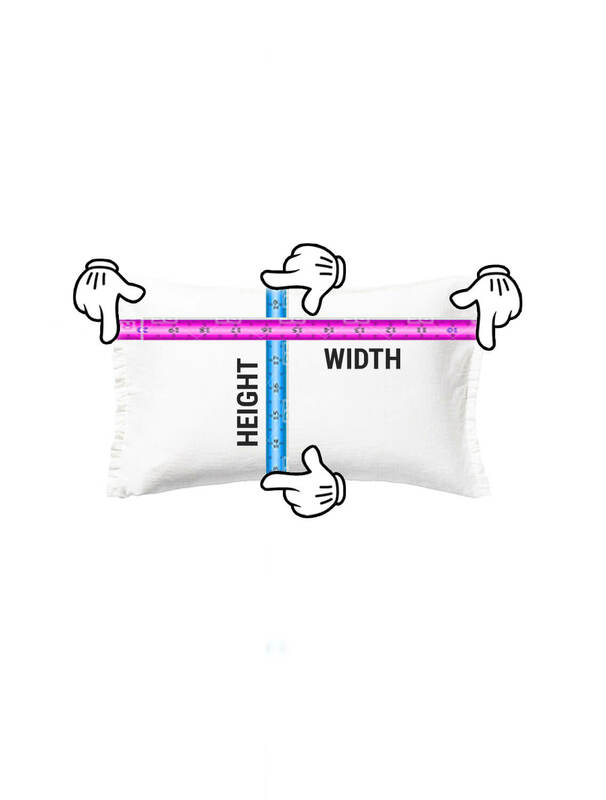 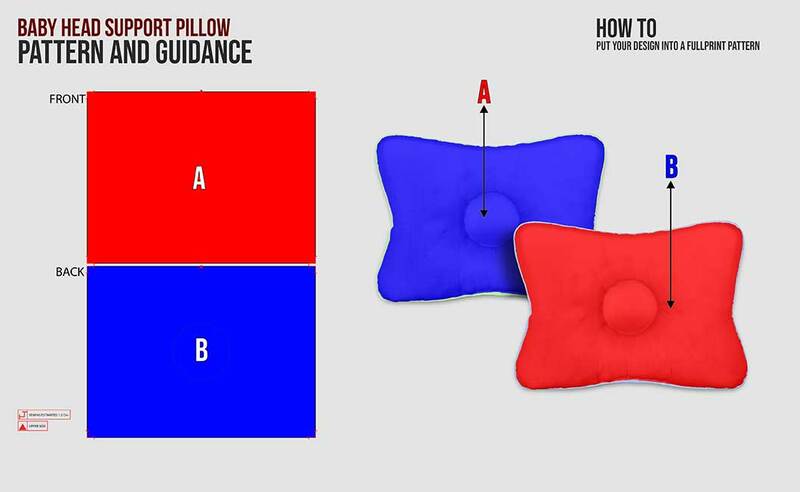 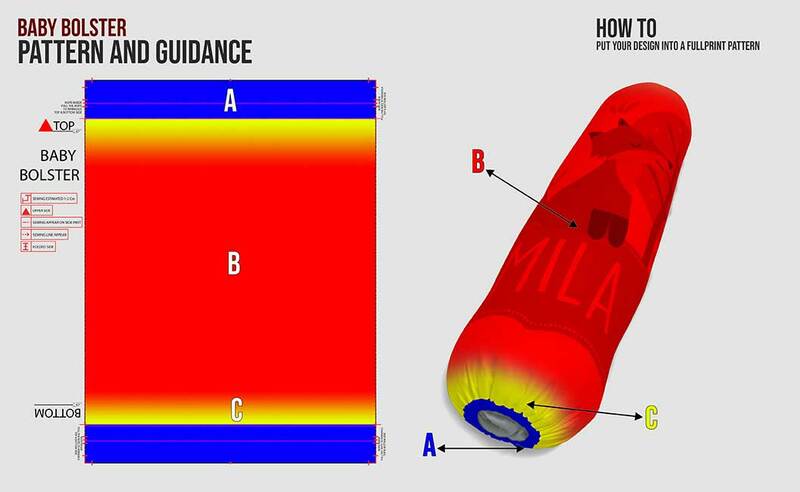 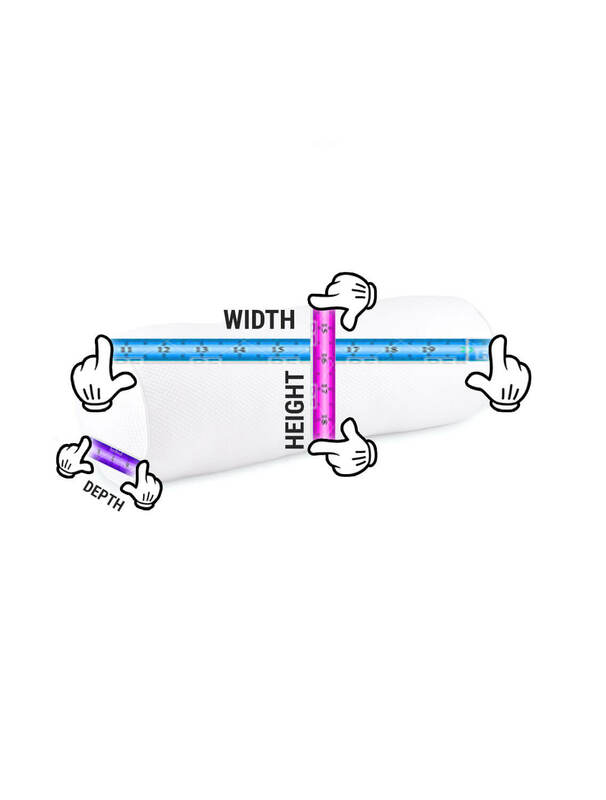 While the anti-flat head pillow is only made of Bowden. 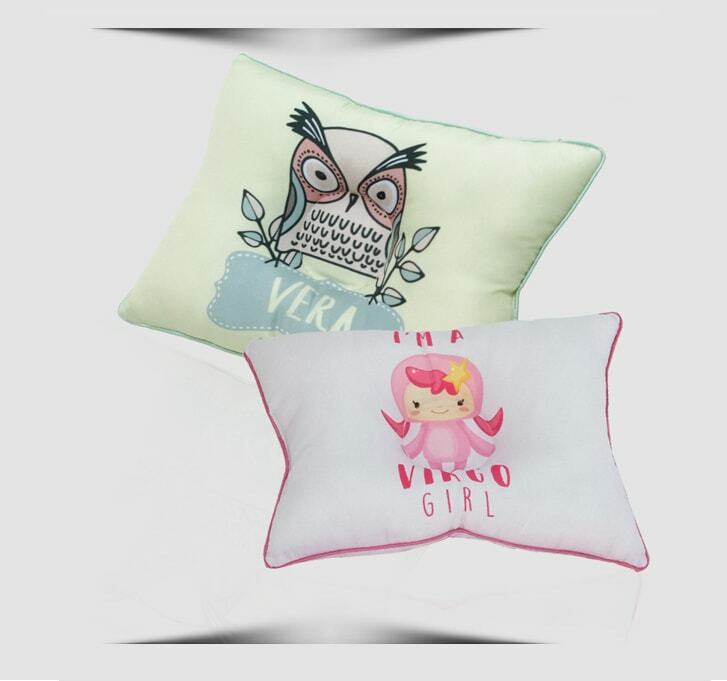 We use Oeko-Tex Class 100 certificated printing ink which means safe for baby skin. 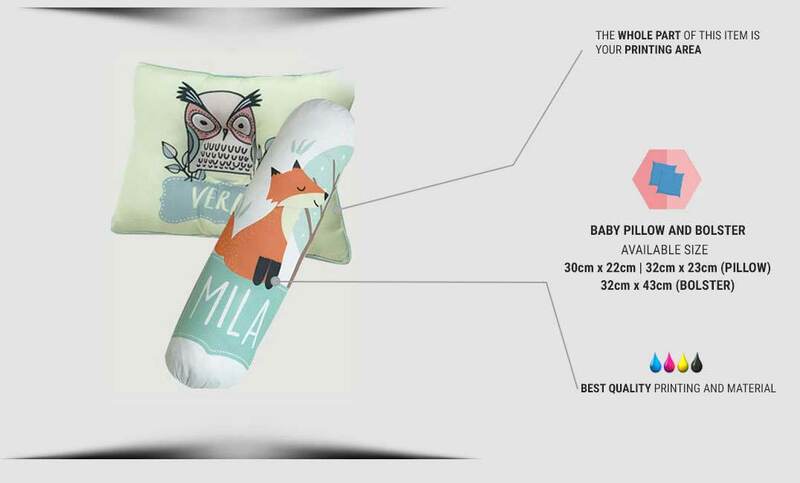 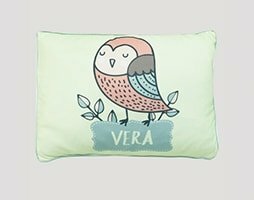 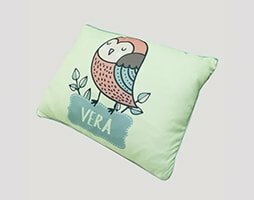 In custom, you can create the baby pillow, baby bolster, and baby head support pillow with any pictures you like and will suit your baby. 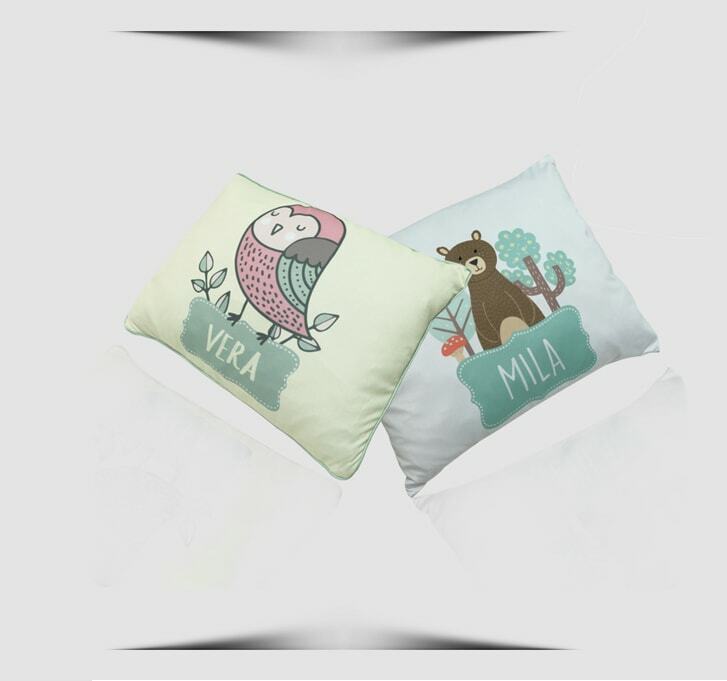 If you are going to make it as a gift, you can apply the name and the birth date of the receiver.